Remember when the Star Wars standalone films were announced (Rogue One: A Star Wars Story, Solo: A Star Wars Story)? Almost immediately, there were rumors everywhere that the third title could very well be Kenobi: A Star Wars Story. 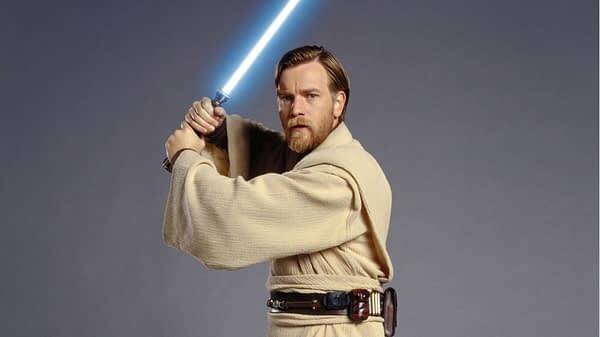 Long rumored to be happening, especially after General “Hello There” Kenobi prequel actor Ewan McGregor sported a decidedly Jedi-esque beard during January’s Golden Globes, there finally seems to be some steam in the possibility engine. Back in August of 2017, The Hollywood Reporter reported that Oscar nominated director Stephen Daldry was in talks to direct a Star Wars title and that it may just be Kenobi. Disney, of course, had no comment on the topic (no, really, “No comment” WAS their comment), but the story just wouldn’t go away. The project is sufficiently along that an art department is now in full pre-production mode at Pinewood Studios, England with ancillary work being carried out at Industrial Light & Magic in London. A number of concept artists, prop modellers, and storyboard artists are working as a team across the two locations on the film, with the group growing in numbers every month. Contracts have also been extended to a number of crew who have worked on various Star Wars films produced at Pinewood under the Disney era, to join the production when their work on Episode IX ends. This will see the Obi-Wan crew grow gradually over the remainder of the year but primarily from October on wards. Pre-production will continue at Pinewood whilst Episode IX shoots from this summer through the end of the year, at which point production of the Obi-Wan movie has been scheduled to move onto stages in mid January 2019 with the main shoot to begin in April of 2019. The project is being developed under the corporate name of PLT Productions (UK) Ltd. The scheduled release date is December 2020. The interesting thing about this alleged news drop is it happened five years to the day that LucasFilm announced production on Star Wars: The Force Awakens had started at Pinewood. However, there is still no official word from Disney about this project even being considered. We’ll let you know if any of this gets officially confirmed or denied, but we’re kind of hoping it’s true. [Rumor] Yet Another 'Star Wars' Series for Disney+, Maybe Kenobi? Report Claims Star Wars Spinoff Films are "on Hold"